After enjoying a wonderful Thanksgiving with family, I’m back with the finished jacket. I had some dotted silk crepe in my stash and decided to use it for the lining. 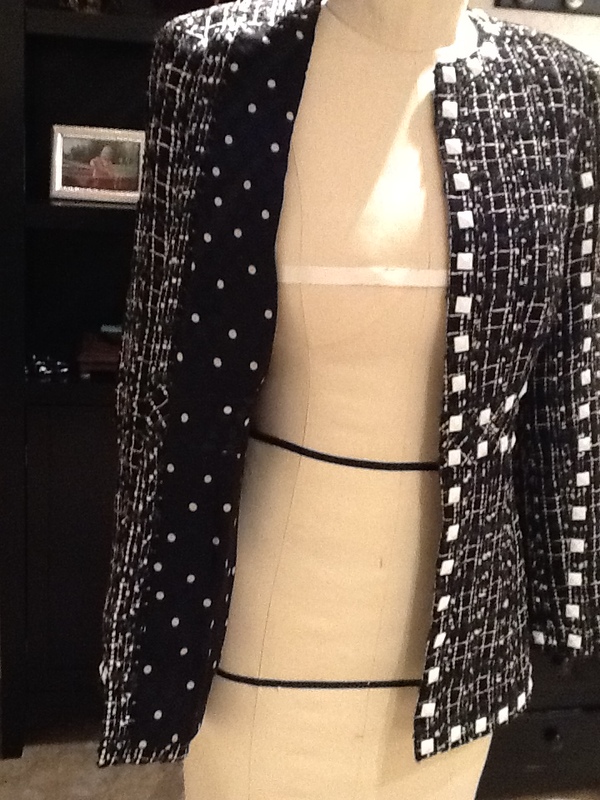 I attached chain at the hemline, adding weight so the jacket hangs properly. 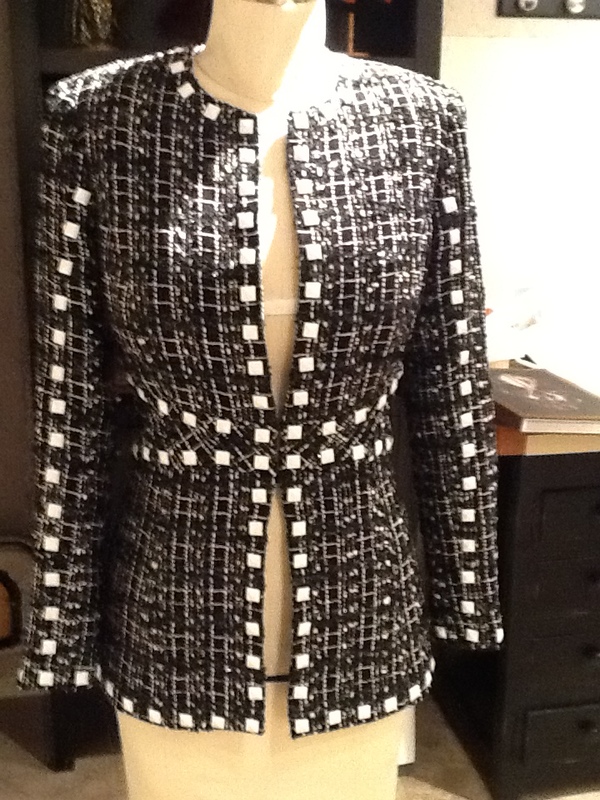 Next post will be first steps in the boucle jacket. I’m still exploring options for trim. This is where many non-authentic jackets fall short. 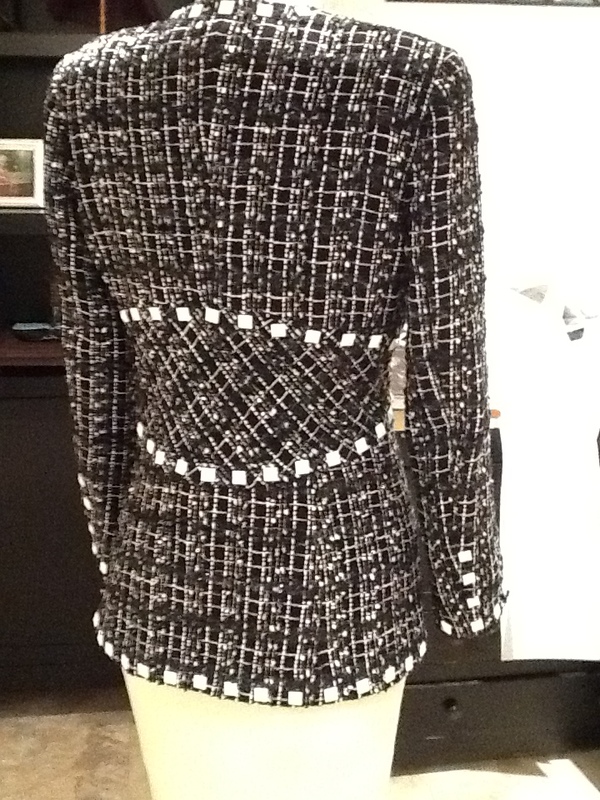 The wrong trim can turn your designer jacket into an upholstery project. I’m looking closely at the designer photos for trim ideas and will report. Thanks for following me.